Futures Supplies & Support Services Ltd is a trade supplier of washroom and janitorial products to meet the requirements of its customers. Our objectives are to deliver service, quality, value and reliability through continual improvement and customer satisfaction using innovation and technology to provide an environmentally sensitive service whilst tackling long-term sustainability. We recognise that our business activities have an impact on the environment and our approach is to support the environment by continually striving to make it part of our ethos to reduce the creation of waste and promote good housekeeping techniques. Sustainability is at the heart of our business. We are passionate and committed to ensuring that we meet the needs of today without compromising those of future generations, through minimising negative impacts on our planet and our people. Our values go far beyond that of profitability - the delivery of service, quality, value, reliability and sustainability through environmental consideration and new technologies, we believe are key to a more sustainable future. Through collaboration, with likeminded partners and taking an integrated approach through the whole of our business process, we hope to demonstrate that we can continue to improve our business and its overall impact on society - in the marketplace, the workplace, the environment and the community. We do not think it is enough just to make claims about environmental credentials, we believe that these should be backed up and certificated by independent bodies, auditors and assessors. We are committed to integrity and transparency in the way we operate, how we supply goods and services and in our business partnerships. As a result, our approach has been to formalise our EMS through certification to BS EN ISO 14001. Our carbon footprint (emissions) is measured and monitored against pre-defined KPIs (key performance indicators) through the collection and independent verification of data by the CarbonNeutral Protocol. We also comply with the Packaging Waste Regulations making annual data submissions on packaging for independent verification by Valpack and where possible, the products we supply are certified, endorsed by independent bodies and/or carry recognised environmental labels or marks and conform to current legislation. Environmental Management is the control of one's interaction with the environment in which we live, ie. our global ecosystem comprising air, water and land. The impact company actions are having on the environment is becoming an increasingly important issue across the globe and we have taken formal and systematic measures to formalise its approach to its environmental project, successfully gaining certification BS EN IS0 14001. Futures Supplies successfully gained certification to BS EN ISO 14001. An effective EMS certified to ISO 14001 can help an organisation operate in a more cost efficient and environmentally responsible manner by managing its impacts, including those which it can control and influence, while also complying with relevant environmental legislation and its own environmental policy. To gain and maintain certification, Futures Supplies ensures legislative compliance, records information on the operation of its EMS and demonstrates continual improvement. Increased credibility comes from regular independent assessment to ensure its Environmental Management System continues to meet the requirements of the standard. Scientific consensus states that carbon emissions must be reduced by 80% by 2050 to avoid catastrophic climate change. Businesses have an important and essential role to play in meeting these targets and carbon offsetting enables businesses like ours to play a part in the climate change battle. In partnership with The CarbonNeutral Company, Futures Supplies is delighted to have achieved CarbonNeutral® status since 2006. This accreditation positions us as an industry leader with one of the strongest and most credible approaches to climate change. We are proud to be taking a net zero position on emissions by measuring the carbon dioxide (CO2) emissions associated with our business, reducing them at source, and then offsetting any unavoidable emissions by purchasing carbon credits. To ‘balance out’ these emissions in 2006/07 we used our carbon credits to support sustainable forestry projects in the UK, in 2007/08 to support the Shangyi Manjing wind farm project in China, and in 2008/09 to support the Indian Hydro Power Project. 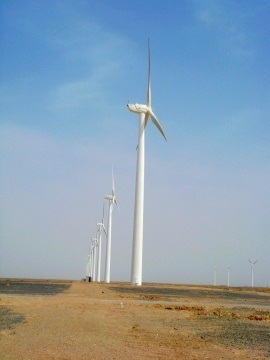 We are currently supporting the Gobi Gansu Wind Power project in China. As a result of this reduction process coupled with offsetting the unavoidable emissions associated with our business, our carbon footprint is reduced to net zero. Find out more about our current project or try out our carbon calculator..
Our Purchasing Policy aims to provide a framework to advance the sustainable use of resources and demonstrate that our purchasing decisions can improve markets for environmental and recycled products, as well as being resource responsible. Where possible, we prefer the purchase of local recycled, recyclable and environmentally preferable sustainable products where they are fit for purpose, available at a reasonable cost and do not compromise on quality. We work hard with our suppliers to ensure they meet our strict criteria, looking at life cycle, environmental policies and accreditations and aspire to influence on best practice whilst conforming to legislation. We REDUCE by using less - minimising in the first place and avoiding waste. This includes purchasing in bulk, offering an electronic ordering system, use of technology to assist with vehicle emissions and double sided printing etc. We also supply products where possible, that offer our customers the ‘best cost in use’ solution reducing usage. We REUSE by making best use of existing and reclaimed resources, ensuring any new purchases are durable, have a long life cycle and are easy to maintain. We also supply products to our customers that are manufactured from reusable recyclable sustainable resources wherever possible. We RECYCLE by ensuring we provide resources and training to personnel and customers to assist in the recycling process. Ensuring we purchase or supply products that are, wherever possible, manufactured from or contain recycled materials that can be recycled again and again. Minimising wastage, packaging and transportation wherever possible, we offer a sustainable web based 24/7 on line ordering facility www.futures-supplies.co.uk. This encourages electronic ordering, saving against the cost of producing a paper based purchase order system. The website also has helpful information on its environmental activities, tips and useful links. Recognising part of the sustainable cycle is to cut down on the consumption in the first place, we also print, where possible, double sided. Further waste reduction has been achieved through the introduction of computerised document management, e-invoicing, e-statements and e-marketing, although we will continue to support those customers who request hard copies where necessary. We use water saving devices in all our toilet cisterns along with an inbuilt water filter system straight from the mains to provide our drinking water. By subscribing to the Telephone Preference Service and Mail Preference Service, we ensure we don’t receive junk mail and unsolicited mail, minimising waste at source. Where possible, we make use of online rather than paper-based communications including facilitating our own online customer service surveys. We have implemented reduced energy use and conservation preserving resources through the application of timers, the installation of energy efficient lighting, sensors and the installation of heat pump air-conditioning, with the help of an Enhanced Capital Allowance. Committed to reducing our carbon footprint even further, where possible we purchase ‘green energy’ generated from renewable, sustainable sources such as hydro-electricity, wind and solar power. We are also achieving energy efficiencies through the implementation of our Travel Plan. We have successfully implemented measures for recycling our paper, card and plastics. Our printer cartridges are recycled and postage stamps are recycled through Marie Curie Cancer Research. We currently recycle over 80% of our waste. We produce regular newsletters on recycled paper and in electronic format. This helps promote the company’s environmental activities and provides environmental tips and useful suggestions. The team also regularly attend environmental events and forums to share ideas, communicate commitment to sustainability and to help identify new innovative measures. We produce and submit regular editorial and press releases on our environmental activities and the Managing Director is asked to submit articles and opinions to media and is active in supporting and mentoring other business, suppliers and partners in their environmental projects and activities. In partnership with Seltrans, Futures Supplies launched its Travel Plan and has installed showers and lockers to help promote the use of green sustainable travel to the workforce. Some members of staff cycle to work, and car sharing and the use of public transport, including Croydon’s trams is a regular part of travel – reducing costs and promoting a healthy lifestyle. We have also introduced home working and regularly promote our travel initiatives through the company’s newsletters and regular PR. As well as providing driver education through additional driver awareness training with Cardinus Risk Management, delivering savings on insurance premiums, the company’s vehicles are tracked using a GPRS vehicle tracking system providing better fuel efficiencies as well as up to date information to customers on the location of their deliveries. The company runs Toyota Prius Hybrids which offer an intelligent combination of an electric motor and petrol engine, resulting in outstanding fuel efficiency and has been voted Europe’s most eco-friendly vehicle, best fuel economy award as well as car of the year award. The use of the Toyota Prius’ has substantially reduced the company’s CO2 emissions, as well as creating savings in reduced fuel bills, vehicle licensing fees and insurance costs. The Prius is also Congestion Charge exempt. Widely involved in the local community, our aim is to provide support for disadvantaged young people. Recognising that our business activities impact on the environment and future generations, the company has long been committed to working with young people. Initially working with Croydon Council on their ‘Employability Project’, Futures Supplies supported young care-leavers through offering 12 week work placements enabling them to gain valuable work experience as well as building their confidence and self esteem. We have provided apprenticeship placements in partnership with South London Business. As part of the company’s social commitment, we support a number of charities financially, as well engaging in a community activities. We believe that whilst it is important to make financial contributions, it is crucial to engage and collaborate in activities. Our chosen charities include Great Ormond Street Hospital, Marie Curie Cancer Research, The Royal Marsden Cancer Campaign and the Salvation Army. We are committed to working together in collaboration with like-minded businesses to improve economic, social and environmental impact on the community, believing that companies have a greater impact working collaboratively than independently. Customer focused, we recognise the need for continual innovation, the use of technology and a commitment to long term investment in resources to help our green projects and commitment to the environment. As well as offering a 24/7 sustainable on-line shopping facility, we have introduced a ‘Telematics’ technology GPRS vehicle tracking system to help monitor and improve efficiencies in our vehicle fleet, routing and fuel consumption. Auto-Start-Stop technology as used in our delivery vehicles, can lower fuel consumption and CO2 emissions in heavy traffic. It automatically switches off the engine when idling, then re-starts it the instant you touch the clutch. Considering that a vehicle's engine is rarely used continually on city journeys, this fuel saving technology makes perfect sense in the real world. By being innovative in all areas of our business helps us to strive to do better - providing innovative quality products that have a reduced environmental impact, optimised efficiency discouraging misuse and wastage through knowledge and training. We believe in engaging staff through education and raising awareness of environmental issues and aligning our climate change strategy with our company goals and ethos. All our team undergo environmental training as part of the company’s induction process and on going awareness and refresher training. We frequently collaborate with suppliers and customers attending and supporting environmental awareness days, exhibitions and forums on behalf of third parties. We also carrying out on site or at our offices, customer awareness workshops to ensure, where possible, we assist and influence on best environmental practice. Traffic light - green for go! To assist our valued customers when making an informed choice about the products and services we supply and to enable you to give environmental consideration when making a purchasing decision, Futures Supplies offer the following additional information on products, which we hope will assist you to identify a more sustainable choice. You can already be confident that you are on your way to making a ‘greener’ choice because you have selected to purchase your supplies from us! At Futures Supplies, we have taken systematic measures to formalise our approach to our environment project and as well as being a BS EN IS0 14001 independently certified company, we are carbon neutral. As a carbon neutral company, we go one-step further to address our impact on the environment. Reducing our emissions through vigorous energy management and targets, we then go on to offset our unavoidable emissions through the purchase of carbon credits, in partnership with The CarbonNeutral Company in a responsible best practice model. You will find products are conveniently ‘flagged’ for you by a green traffic light. These products will have little or a low impact on the environment, be biodegradable, contain recycled content or may carry an environmental independently certified ‘eco’ or ‘green’ logo or label. You can also find listed some of the commonly found ‘green labels’, ‘green logos’ and ‘ecolabels’ along with further explanations and links to the organisations responsible for the claims. With the growing demand for green sustainable alternatives, we hope that this facility will help you make a more informed choice. 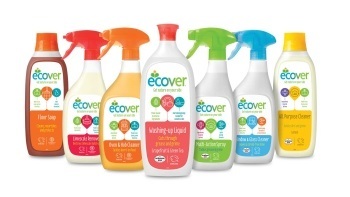 Developing and producing efficient cleaning products in the world’s first ecological factory built in 1992 in Belgium, Ecover is the leader in the ecological cleaning sector in over 20 countries worldwide. The range of products, all of which have 100% recyclable packaging have been developed to minimise pollution and environmental impact and are based on plant and mineral ingredients from nature. Unlike many petrochemicals based products they do not contain toxic, allergenic, mutagenic or carcinogenic ingredients, which make them safer for cleaning staff, office staff, customers and the environment. In February 2010, Ecover broadcast its first UK TV adverts. Founded in 1992, by two young biologists concerned about the environment and represented in over 30 countries around the world, Innu-science offers highly effective eco-friendly, non- toxic products to the UK market. Endorsed by the highly recognised EU Ecolable, the products are highly concentrated and effective. The range is non-hazardous; VOC and EDTA free, replacing many harmful and unsafe chemical products currently on the market. Twister™ is a revolutionary cleaning system of floor pads prepared with billions of microscopic diamonds, which clean and polish the floor mechanically instead of using chemicals. Twister can be used on the most common floor surfaces such as terrazzo, natural stone, concrete, vinyl and epoxy. Twister is the tool that transforms your dull, worn floors into clean, glossy and brightly polished floors. Twister has unique advantages that benefit both the cleaning company and the floor owner. 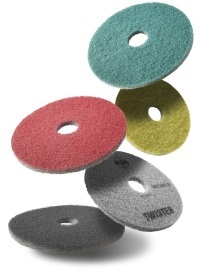 According to the Swedish Society for Nature Conservation, using Twister instead of conventional methods on natural stone floors can save approximately 7,200,000 litres of cleaning detergent currently used in traditional daily floor maintenance in Sweden. Since Twister works perfectly on every other type of floor except textile, the potential chemical reduction worldwide is enormous! Step 1 Will remove tiny scratches from the surface and leave a silky matt, cleaned and well prepared surface. Step 2 Will leave a surface that is well prepared for the final step of the Twister™ method. Final step for daily maintenance, this step will effectively maintain a high gloss on the surface when used regularly. Ideal for use on floor surfaces such as stone, vinyl and linoleum as well as high-speed polishing of HTC Superfloor™, terrazzo and natural stone surfaces. For heavy duty cleaning of worn stone floors. Twister Red will effectively remove scratches and stains from the surface leaving a clean, matt surface prepared for the subsequent Twister steps. If you are constantly searching for a washroom solution that delivers on quality, value and sustainability, Futures Supplies believes the Katrin System Toilet Tissue System ticks all the boxes. The toilet rolls carry the highly acclaimed Nordic Swan Eco Label, offering the best in class environmentally. There is no wastage as every sheet is used and with the dispenser holding more than the equivalent of 5 conventional toilet rolls or 6 sleeves of bulk pack storages, issues are significantly reduced. They are labour saving too! If you are using Jumbo Toilet Tissue, Mini Jumbo and Conventional Toilet Tissue, we would recommend considering a switch to a Bulk Pack system. 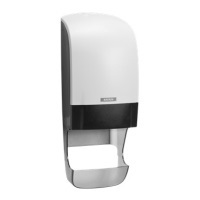 This system provides an individual dispensing top up facility preventing the need for the disposal of ‘end rolls’, controls pilferage and reduces overall usages resulting in cost savings and environmental benefits. Bulk pack is self-presenting thus preventing cross contamination and controlling usage. The system is ‘a top up system’ so it never runs out, unlike Conventional or Jumbo Toilet Rolls where a decision has to be made to dispose of an end roll or leave spares in the washroom, which often end up in on the floor or have to be throw away. 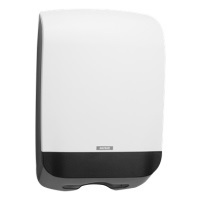 If you are currently using C Fold Hand towels, these present closed and often come out of the dispenser in ‘clumps’. We would recommend considering a switch to interleaved towels, these are individually dispensed open or ’self-presenting’ ready for use. 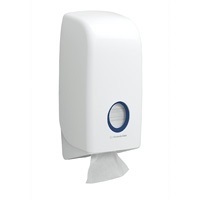 Self-presenting hand towels help prevent cross contamination and control usage resulting in cost savings and considerable benefits to the environment. As food waste collections become ever more popular, we recognise the need to provide end users, councils and waste management companies with an alternative to standard plastic refuse sacks. We have launched a range of compostable caddy & bin liners which can support food waste management strategies. Manufactured from Ecopond® biodegradable plastic, using starch and lactide-based derivatives of plant sources, these compostable bags are fully compliant with the European composting standard, which requires more than 90% of the plastic mass to convert into biomass, CO2 and water, with no harmful residue. 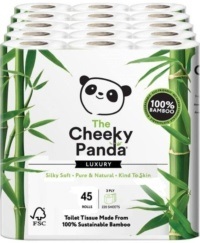 Cheeky Panda offer a sustainable alternative to wood pulp toilet rolls and hand towels that are currently available. Luxuriously soft, Cheeky Panda toilet rolls, hand towels and tissues are made from FSC® certified tropical bamboo, an excellent renewable resource which takes as little as 18 months to grow and is 100% biodegradable. Ultra-sustainable: Bamboo is the world’s fastest growing plant. It grows 30 times faster than trees and being a grass, bamboo does not require replanting after harvest. Super kind to skin: Bamboo is naturally hypoallergenic and kind to skin. The long fibre in bamboo contains less dust particles, which reduces irritation for people who suffer with sensitive skin. 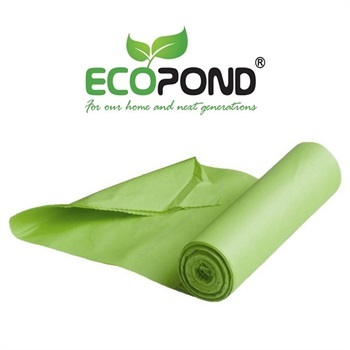 Pure & Natural: Bamboo tissue is free from fertilisers, pesticides, de-inking agents, B.P.A. chlorine bleach or fragrances. Carbon Balanced: Bamboo toilet tissue has 65% lower carbon than traditional paper (that’s a saving of one ton of carbon per 4,500 rolls). Cheeky Panda products are now Carbon Balanced with The World Land Trust, saving plants and animals in endangered rain forests. We have received numerous awards and third party accreditations endorsing our green credentials for our environmental, green and CSR initiatives. Details of these can be seen in the ‘awards’ page on this website. With the continued support of our partners, we continue to work with our supply chain and customers to ensure the products supplied conform to our environmental and sustainability initiatives. We are working towards continual improvement in all areas, to further reduce our environmental impact and that of those around us. Our philosophy of doing one thing every day that makes a difference and ensuring we formalise our activities, gives our customers, suppliers and partners the confidence of knowing that we do what we say we will do and go the extra mile. We will continue our commitment to helping young people into employment and our support of charities as part of our overall commitment to economic, social and environmental sustainability and regeneration, whilst engaging staff, customers, suppliers and the local and wider community. Our commitment to supporting young people will provide further work placement training and Apprenticeships - we believe if that if it can change just one young life, the impact of changing many will be unequivocal and indisputable on the future. A strong commitment to the environment and long-term sustainability forms an integral part of our business strategy as we continue to lead the way in terms of best environmental practice. We believe that business is not just about the bottom line but giving something back and have been successful in making substantial savings which have been re-invested, whilst addressing environmental issues, promoting sustainability and positioning ourselves in the market place as a company that cares.